When it was released, we weren’t quite sure what he was talking about. Then we saw the deity-worthy, super-lightweight reimagined Porsche 911 from Singer Vehicle Design. From an original 1990 Porsche 964, this objective is achieved in two ways: weight reduction and power increase. 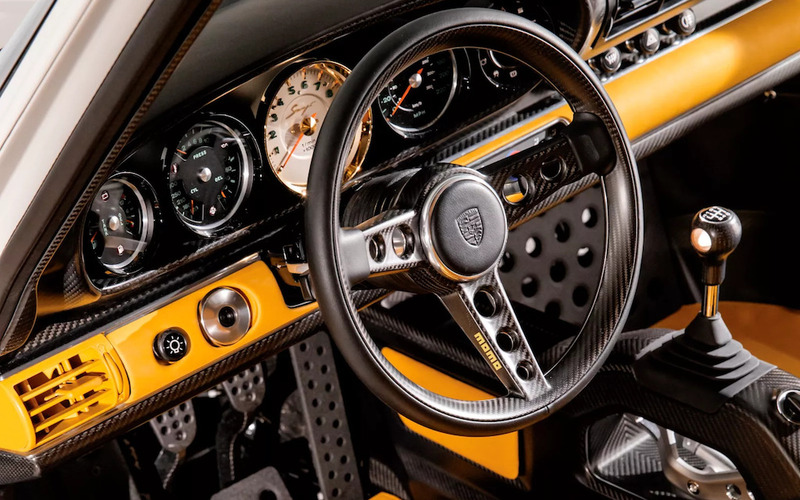 For the former, Singer relied on one thing: carbon fiber, carbon fiber and more carbon fiber. 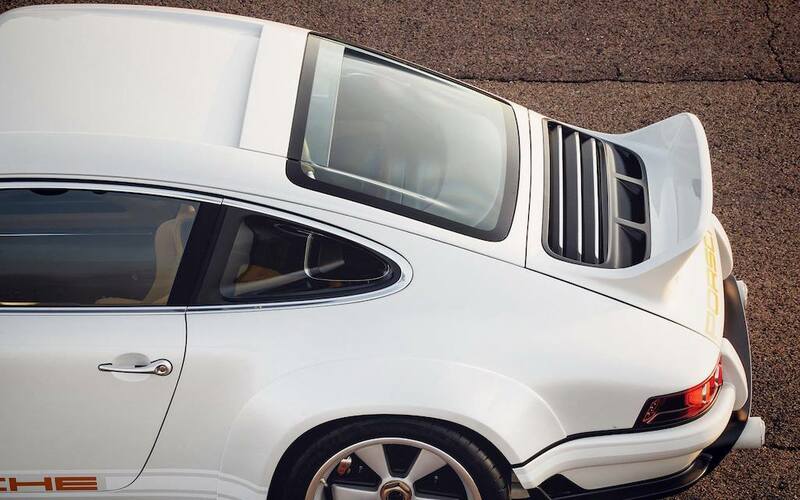 While exact poundage hasn’t been released, every single body panel is new, as Singer took the original shape of the 964 and tweaked it to max out the aerodynamic possibilities — including a new window spoiler and longer ducktail spoiler. 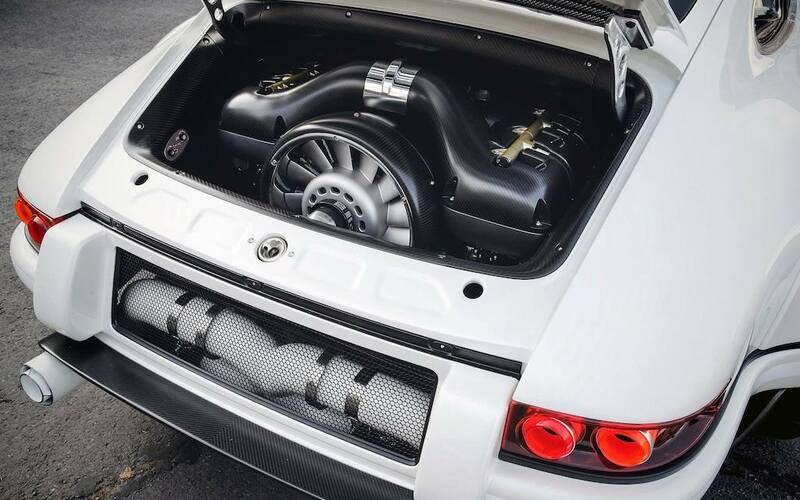 The increase in power comes mostly from the naturally aspirated 4.0-liter flat-six engine, a Williams special that uses parts made of titanium and magnesium to help keep the weight off. In action, it puts out 500-HP at 9,000-RPM. Oh, and that shifter on the six-speed manual transmission? That exhibition hole underneath wasn’t added solely for aesthetics — it was raised up in order to be closer to the wheel, providing a tighter and more seamless driving experience. But the balsa wood inlay in the middle of the carbon-fiber shifter? Yeah, that is mostly aesthetics. The rest of the interior is no less opulent. Momo carbon-fiber steering wheel? Check. 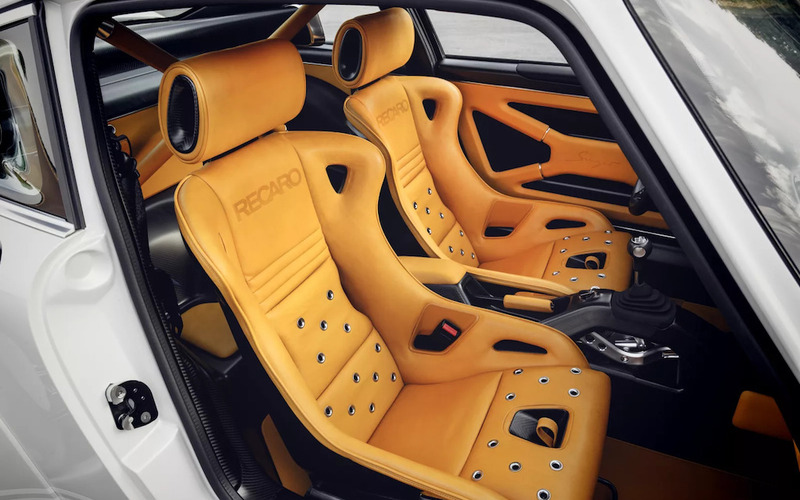 Recaro bucket seats? Check. 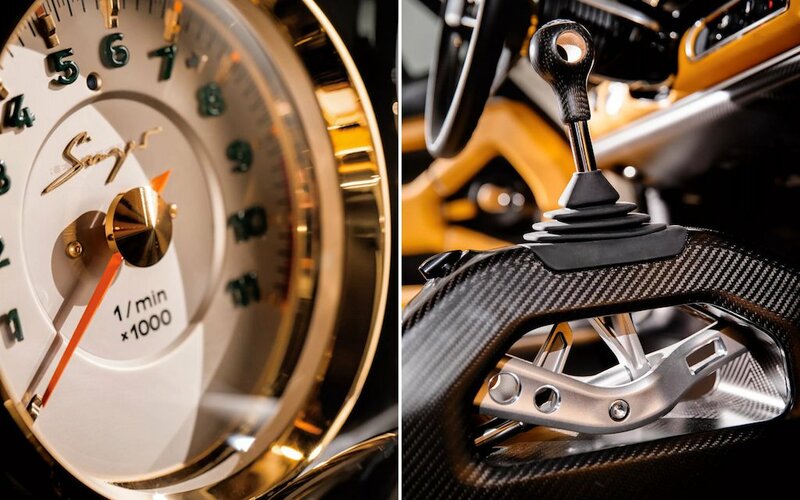 Gold-accented speedometer and tachometer that rival Rolex in dial design? Check so hard the lead on your pencil snaps clean off. Of course, all this is a roundabout way of saying this conversion costs $1.8 million. Should that for some reason be in a manageable price range, Jalopnik writes that Singer will be making 75 of these available. 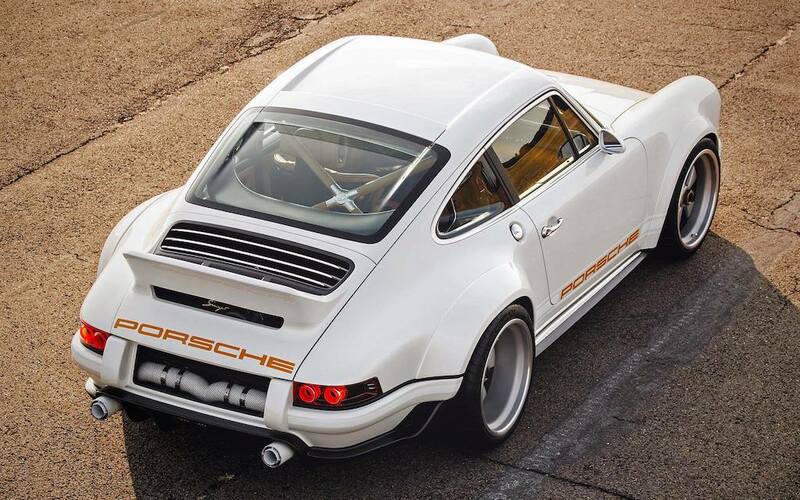 And for all U.S. residents who couldn’t make it to Goodwood, Singer will be bringing this Porsche to the 2018 Monterey Car Week.